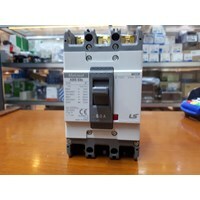 Buat Permintaan Untuk "LS MCCB"
MCCB / Mold Case Circuit BreakerMCCB ABS 103c LS- 3 Phase - 125 AmperDUNIAELECTRICAL.COM: Agen, Distributor MCCB Murah di Glodok seperti MCCB NF30-CS Mitsubishi serta MCCB merek lainnya: MCCB Schneider, MCCB Fuji Electric, MCCB Siemens, MCCB LS.Temperature Controller, Timer, Counter, Counter/ Timer, PLC ( Programmble Logic Controller ), Inverter, Magnetic Contactor, MCB, Auto Breaker, MCCB, Circuit Protector, Kabel, Box Panel, Aksesoris Panel, Lampu, Temperature Fuji, Temperatur Hanyoung, Temperature Controller Fotek. Temperature Shinko, Temperatur Kontrol RKC, Temperatur Shimaden, Temperature Omron, Temperature Honeywell, Temperature Controller Azbil / Yamatake, Temperatur Kontrol Chino, Temperature Controller Yokogawa, Magnetic Contactor Fuji Electric, Contactor Mitsubishi, Kontaktor LS, Contactor Teco, Magnetic Contactor Schneider Electric, Thermal Overload Relay Mitsubishi, Overload Relay Fuji, Overload Schneider, Thermal Overload LS, Auto Breaker / MCCB Schneider Electric, MCCB LS, MCCB Fuji Electric, MCCB Mitsubishi, MCB Domae Schneider, MCB Mitsubishi, MCB Fuji Electric, Circuit Protector Fuji Electric, Circuit Protector Mitsubishi, Inverter Fuji Electric, Inverter Mitsubishi, Inverter Toshiba, Inverter Schneider Electric, Inverter LS, PLC ( Program Logic Controller ) Omron, Program Controller Melsec Mitsubishi, Relay Omron, Timer Theben, Timer Omron, Timer Autonics, Timer Hanyoung, Timer Fotek, Timer Omron,Counter / Timer Autonics, Counter / Timer Hanyoung, Counter / Timer Omron, Counter / Timer Fotek, Kabel NYY, NYA, NYM dari Merek 4 Besar, Sensor Kabel, Proximity Switch, Photo Sensor, Photoelectric. Adapun Merek- Merek yang Kami Sediakan seperti : ABB, Fuji Electric, Mitsubishi, Autonics, Hanyoung, Fotek. Teco, Siemens, LS, Chint, Schneider Electric. Azbil / Yamatake, Honeywell, Sick. MCCB / Mold Case Circuit Breaker MCCB (Mold Case Circuit Breaker)MCCB merupakan salah satu alat pengaman yang dalam proses operasinya mem- punyai dua fungsi yaitu sebagai pengaman dan sebagai alat untuk penghubung. Jika dilihat dari segi pengaman, maka MCCB dapat berfungsi sebagai pengaman gangguan arus hubung singkat dan arus beban lebih. Pada jenis tertentu pengaman ini, mempunyai kemampuan pemutusan yang dapat diatur sesuai dengan yang diinginkan.MCCB ABS 103c LS- 3 phase - 125ADuniaelectrical.com merupakan pusat MCB / Circuit Breaker di Glodok, kami menyediakan berbagai macam produk MCB / Circuit Breker seperti merek LS serta menyediakan Produk LS lainnya seperti : Magnetic Contactor LS, Thermal Overload LS, Inverter LS, MCCB LS, Motor Breaker LS dll. Adapun merek lainnya seperti: MCB / Circuit Breaker Fuji Electric, Mitsubishi Mcb / Circuit Breaker, MCB / Circuit Breaker Schneider Electric.Produk LS:Contactor MC-9b LS, LS Magnetic Contactor MC- 12b, MC-11a LS, Contactor LS MC-18b, Contactor MC- 22b LS, Magnetic Contactor MC-32a LS, magnetic Contactor MC-50a LS, Magnetic Contactor MC-40a LS, Magnetic Contactor MC-85a LS, MAGNETIC Contactor MC- 100a LS. 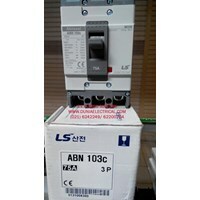 MCCB ABS 103c LS, Circuit Breaker ABN 103 c LS, Breaker LS ABN 403c. Circuit Breaker ABS-53c LS. 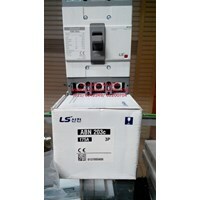 Inverter SV008i65A- 4 LS, Inverter SV040iG5A-4 LS, inverter ls SV0022IG5A-4 ls, Motor Stater MMS- 32 S LS. MCCB / Mold Case Circuit BreakerMCCB (Mold Case Circuit Breaker) adalah salah satu alat pengaman yang dalam proses operasinya mem- punyai dua fungsi yaitu sebagai pengaman dan sebagai alat untuk penghubung. Jika dilihat dari segi pengaman, maka MCCB dapat berfungsi sebagai pengaman gangguan arus hubung singkat dan arus beban lebih. 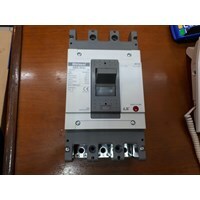 Pada jenis tertentu pengaman ini, mempunyai kemampuan pemutusan yang dapat diatur sesuai dengan yang diinginkan.MCCB ABS 53c LS- 3 Phase - 50 Amperpusat toko listrik di glodok menjual MCB / Circuit Breaker Murah dan Lengkap, seperti MCCB merek Ls serta menyediakan produk Ls lainnya seperti: Thermal Overload Relay LS, Magnetic Contactor, Inverter Ls serta produk ls lainnya. Kami menyediakan produk MCB / Circuit Breaker Schneider, MCB / Circuit Breaker Fuji Electric serta MCB / Circuit Breaker Mitsubishi.Produk LS: Magnetic Contactor LS : Contactor MC-9b LS, LS Magnetic Contactor MC- 12b, MC-11a LS, Contactor LS MC-18b, Contactor MC- 22b LS, Magnetic Contactor MC-32a LS, magnetic Contactor MC-50a LS, Magnetic Contactor MC-40a LS, Magnetic Contactor MC-85a LS, MAGNETIC Contactor MC- 100a LS. MCCB ABS 103c LS, Circuit Breaker ABN 103 c LS, Breaker LS ABN 403c. Circuit Breaker ABS-53c LS. Inverter SV008i65A- 4 LS, Inverter SV040iG5A-4 LS, inverter ls SV0022IG5A-4 ls, Motor Stater MMS- 32 S LS.Produk MCCB (Mold Case Circuit Breaker) / No- Fuse Breaker merek lain:MCCB (Mold Case Circuit Breaker) / No- Fuse Breaker Mitsubishi: MCCB NF63-CV Mitsubishi, No- Fuse Breaker NF63- CW Mitsubishi, Breaker NF-30CS 2P Mitsubishi, mccb nf-30cs 3p Mitsubishi, MCCB NF-125 Mitsubishi, Breaker NF-250 Mitsubishi.MCCB (Mold Case Circuit Breaker) /Breaker Fuji Electric: Auto Breaker BW50EAG Fuji Electric, MCCB BW125 RAG Fuji, Manual Motor Stater BM3RSB-6P3 Fuji Electric, MCCB BW125 JAG FUJI, MCCB BW100 EAG Fuji, MCCB BW32AAG Fuji, MCCB BW50EAG Fuji, MCCB F53B Fuji Electric.CONTACTOR SCHNEIDER: Contactor Schneider LC1D09M7, Schneider Contactor LC1D12M7, Contactor Schneider LC1D18M7, Contactor LC1D25M7 Schneider, Contactor LC1D32M7 Schneider electric, Schneider Electric Contactor LC1D38M7. Overload Relay Schneider: LRD01 SCHNEIDER ELECTRIC, Overload Relay LRD02 Schneider, Overload Schneider LRD 03, Thermal Overload Relay LRD 04, LRD 05 Overload Relay Schneider electric. 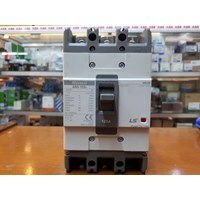 Magnetic Contactor Mitsubishi, Contactor SN 35, Magnetic Contactor ST 10, Contactor ST 20, Mitsubishi Contactor SN 150, Contactor Teco, Contactor CU11, Teco Cu 16, Magnetic Contactor CU18, Contactor LS: Contactor MC-9b, Magnetic Contactor MC- 12b, Contactor MC-18b, Contactor MC- 22b, Magnetic Contactor MC-32a LS, magnetic Contactor MC-50a LS, MAGNETIC Contactor MC- 100a LS. Magnetic Contactor Fuji: magnetic contactor sc-03 fuji, fuji electric Contactor sc-0, Magnetic Contactor SC-05 Fuji Electric, Fuji Contactor SC-N1, Contactor Fuji SC-N2, SC-N2S Contactor, Contactor SC-N3, Magnetic Contactor SC-N4 Fuji Electric, Fuji Contactor SC-N5, Magnetic Contactor SC-N6, Contactor SC-N7 Fuji, Fuji Contactor SC-N8, Magnetic Contactor SC-N10. Thermal Overload Relay TR-0N/3 Fuji Electric, Thermal Overload Relay TR-5-1N/3. Thermal Overload Relay TR-N2/3 Fuji Electric, Overload Relay TR-N3/3 Fuji. Thermal Overload Relay TR-N5/3 Fuji Electric . 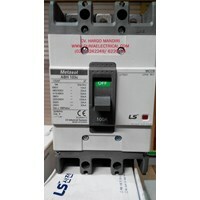 Contactor Siemens, Contactor Togami. Temperature Fuji, Temperatur Hanyoung, Temperature Controller Fotek. Temperature Shinko, Temperatur Kontrol RKC, Temperatur Shimaden. Temperature Omron, Temperature Honeywell, Temperature Controller Azbil / Yamatake. Temperatur Kontrol Chino, Temperature Controller Yokogawa. Magnetic Contactor, Thermal Overload Relay, Auto Breaker / MCCB, MCB, Circuit Protector. Inverter, PLC ( Program Logic Controller ) dan Program Controller Melsec. Relay, Timer, Counter, Counter / Timer. Kabel NYY, NYA, NYM dari Merek 4 Besar. Sensor Kabel, Proximity Switch, Photo Sensor, Photoelectric. Adapun Merek- Merek yang Kami Sediakan seperti : ABB, Fuji Electric, Mitsubishi. Autonics, Hanyoung, Fotek. Teco, Siemens, LS, Chint, Schneider Electric. Azbil / Yamatake, Honeywell, Sick.